“You suggested on the phone that I root around in the project dataset that you supply with Jump Kit. You pointed me to example drawings on the phone. These days I don’t expect much from examples supplied by software people like Autodesk. Boy, was I wrong. We include an Example Corridors drawing with our buy and try product – Templates Only. If you want to learn Civil 3D with templates that work, Templates Only is the best way to go. All the website videos employ the Project Dataset in one form or another including the in-depth series on Plan and Profile Deliverables and Plan Production in Civil 3D. Our Civil 3D Survey at Jump Speed page is a consistent customer favorite. Here’s a video produced from a quick tweak of that Templates Only Example Corridors drawing. Lots of the easy to use Framework for Civil 3D Style magic is in there. We supply Civil 3D Style tools for almost anything you can imagine in AutoCAD Civil 3D. There are even Styles in the Jump Kit library that you probably never imagined. How do you make this powerful Civil 3D Style versatility and capability visible to everyday users? Visible Style in Civil 3D means you actually need the invisible data behind to drive it. That simply defines the need for a real-world project chock full of real world problems and solutions. Contrived demo datasets to show off software features often avoid key Civil 3D usage and training issues. Our customers know we take our sample dataset seriously. Make it pertinent and relevant. Do the intermediate and even advanced stuff that sooner or later every Civil 3D users must run into. Provide drawings to start training from with finished results for users to look at. The needs list is endless. We do what we can. People say it works. The Release 7 datasets are certainly better than ever. There are actually both STB and CTB versions of the dataset provided with Jump Kit. What? Yes. There are both STB and CTB Civil 3D templates available too. Both include in-depth Layer State support that supports real publish on demand out of the box in Civil 3D. Our recently released Layer Standards AddOns in multiple flavors can now produce even more flexible and robust training resources in a few clicks. We actually supply detailed written project upgrade and conversion instructions with Jump Kit and always have. These datasets potentially cover everything from Survey and surface construction through multiple Pipe networks and Corridor creation and publication all in one handy little project. Did we mention the project datasets are available for multiple releases of AutoCAD Civil 3D (2018-2016). OMG! Do your current Civil 3D templates have a project for your people to learn to use them? The point is - Why Bother? If you look for Civil 3D training on the web you’ll soon find that lots of people recommend our Templates Only product as a trusted Style and Template resource. To learn complex software like Civil 3D everyone needs consistent, repeatable, real-world results. The Framework for Civil 3D does that better than anything else available for an affordable price. 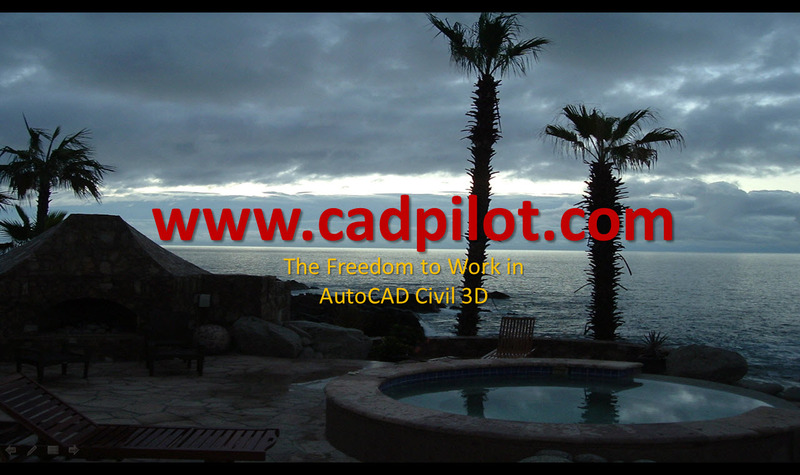 If you do courseware and training for AutoCAD Civil 3D, the Framework makes Civil 3D perform at its peak potential. The Framework for Civil 3D can easily make any Civil 3D courseware better than ever. Our world famous Spreadsheet Tools make any project dataset conversion pretty easy. For some reason we have lots of practice.